BONUS BACK TO SCHOOL BAKING RECIPE! 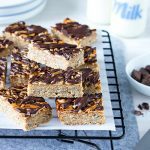 This choc top muesli slice is a balance between nutritious and indulgent, but still super tasty. It’s the perfect lunchbox treat or afternoon tea snack. This is a versatile recipe that can be customised to suit. Need gluten-free? No problem, just follow the instructions in the recipe notes below. Can’t take nuts to school or work? Replace the almond topping with a mixture of different seeds. Don’t like chocolate (are you crazy?! )… just leave it out. 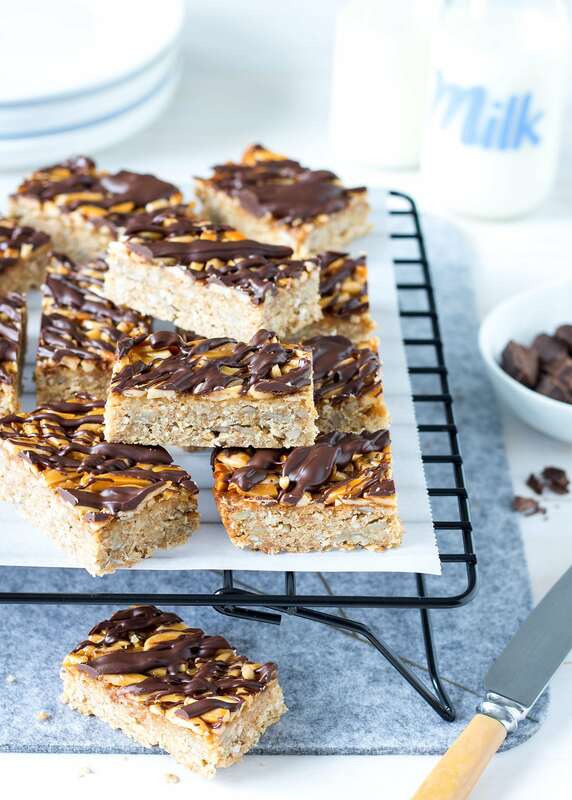 If you give this choc top muesli slice a go, I’d love to hear what you (and perhaps your kids) think. I tested it out on Royce’s 6-year-old son, Leo, and it got a big tick of approval. Mind you, that’s coming from a boy that claims olives are one of his favourite foods and eats virtually anything I put in front of him! 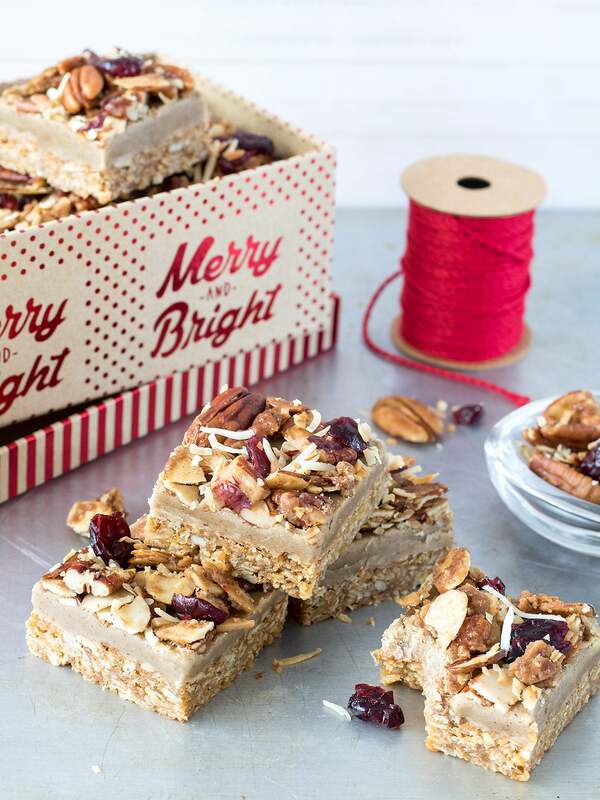 This choc top muesli slice is a balance between nutritious and indulgent, but still super tasty. It’s the perfect lunchbox treat or afternoon tea snack. Preheat oven to 160ºC (320ºF) fan bake. Line a 27cm x 18cm (11in x 7in) slice tin with baking paper. In a large bowl, stir together oats, flours, sugar, coconut, buckwheat and sunflower seeds. Combine the condensed milk, butter and golden syrup in a small saucepan and heat gently, stirring, until butter is melted (you could also do this in the microwave). Don’t worry if the mixture ends up looking a little curdled. Pour into the bowl with the dry ingredients and mix well. Tip mixture into the prepared tin and press down to flatten out. Using the same saucepan as before, melt together the butter and golden syrup for the topping. 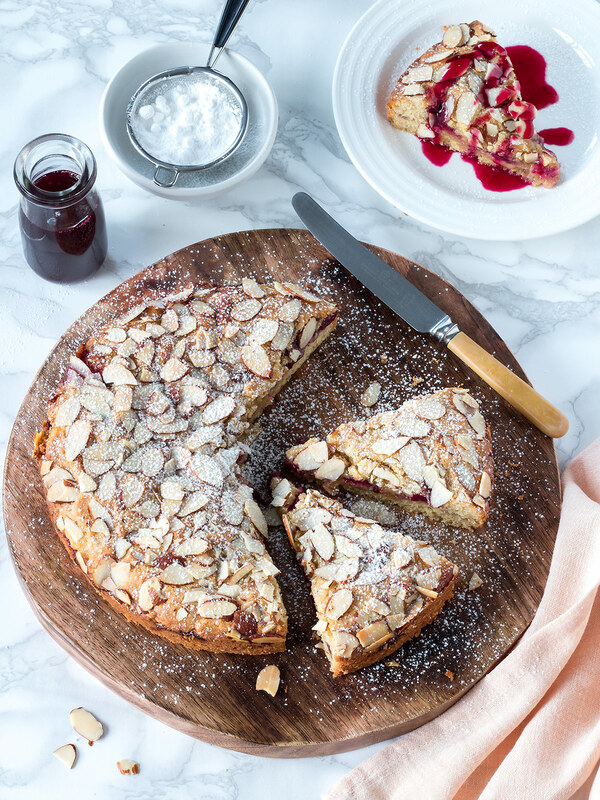 Stir in the almonds and pour onto the top of the slice. Use a fork to carefully spread out. Place slice in oven and bake for 20-25 minutes, until golden brown. Leave to cool on a cooling rack in the tin. Once slice has cooled, break chocolate up into small pieces and microwave on medium-low in 30 second bursts, until melted and smooth. Use a spoon to drizzle over the slice. Place in the fridge for an hour, until set. Cut slice into desired portion sizes. Store in an airtight container at room temperature or in the fridge (I prefer the fridge, especially during summer). DRINK MATCH: A glass of cold milk or a cup of Earl Grey tea. GLUTEN-FREE OPTION: This slice can be made gluten-free. Replace the rolled oats with amaranth or quinoa flakes. Use gluten-free self raising flour in place of the plain flour and brown rice flour instead of wholemeal flour. Check other ingredients to make sure they are not at risk of containing gluten. INGREDIENT NOTES / SWAPS: You can use all plain flour instead of a mixture of plain and wholemeal. Regular caster sugar can be used instead of raw caster sugar. Sunflower seeds could be swapped for other seeds; try pumpkin seeds or linseeds. 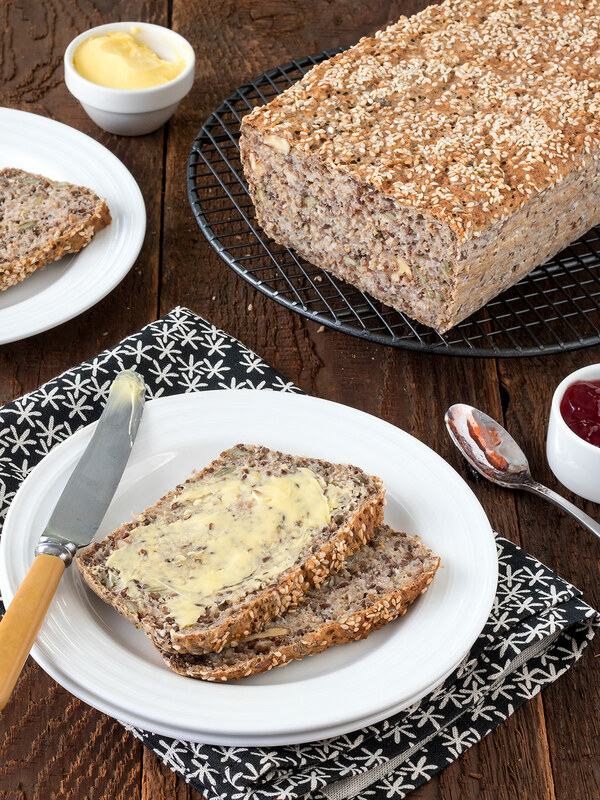 A mixture of seeds is also a good alternative to the slivered almonds, if you need a nut-free slice. Any chocolate can be used on top - white, milk and dark all work - or you can leave this out altogether. STORING AND REHEATING: Store in an airtight container at room temperature or in the fridge (I prefer the fridge, especially during the warmer months).